Thursday afternoon at Laredo Elementary School the kids and staff celebrated their Autumn Festival, Dia de Muertos. 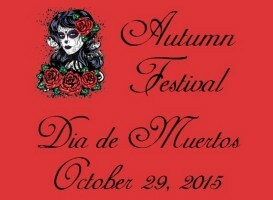 The Calaveras, Calacas and colorful Señoritas were out in force. It was an afternoon of spooky fun and Masters Memories photo booth was there. Saturday night October 24th OrangeTheory Fitness said “Thank You” to its customers as they celebrated their 1 year anniversary at the Parker Location. It was quite a celebration. There was food, drink, music, face painting and a photo booth from Masters Memories. 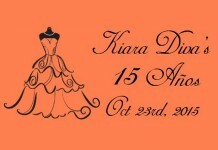 October 23rd, 2015 was a special night for Kiara as she celebrated her Quinceanera with Family and Friends. She was absolutely stunning in her Neon Coral ball gown. The whole night could not have been more perfect. Party Booth was invited to help Kiara create some memories and great fun was had by all. Sunday night at the Columbine Country Club Ella celebrated her 10th birthday. She had family and friends, good food, dancing, balloon animals and Masters Memories Photo Booth was there. Ella had both regular 2″x6″ photo strips and 4″x6″ green screen prints. The kids had their choice of backdrops like a spooky haunted house or lightening , a pumpkin patch or a beach. October 11th, 2015 at The Brittany Hill wedding venue David and Melissa began the rest of their lives together. They exchanged vows in front of family and friends in a beautiful ceremony. The celebration continued with dinner, dancing and Masters Memories photo booth was there too. See all the photo booth memories here: David and Melissa Online Gallery. Sunday night at Perry Park Country Club in Larkspur Colorado Ben and Jen exchanged vows before family and friends. The incredibly beautiful venue was only surpassed by the beauty of the ceremony and the bride.